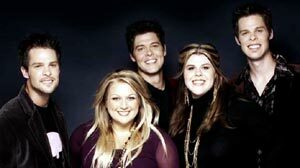 From a church in rural Kentucky to an annual concert audience of 800,000, the Crabb Family has managed to break through musical genre barriers to reach people from all walks of life with the message of the gospel. When Gerald and Kathy Crabb felt the call of God into a full-time musical ministry nearly 10 years ago, they had no way of knowing just what was in store for their children. Two years ago, Gerald and Kathy passed the torch to the second generation with confidence that they were prepared for the success ahead. Although their roots are primarily Southern Gospel, the Crabb Family's latest recording, Driven features a variety of styles and genres. The Crabb Family also reaches a vast concert audience. Their schedule leads them from the Grand Ole' Opry to a Contemporary Christian Festival in South Dakota and everything in between. In an economy that shows a potential decline for entertainment as a whole, it is a proven fact that the addition of the Crabb Family to any program increases concert attendance. The Crabb Family is a sure asset to many "family friendly" or wholesome mainstream events. Many mainstream events from the Grand Ole' Opry to State Fairs and Festivals are incorporating the Crabb Family into their entertainment roster because of the value of their music and their ability to sell a ticket. The Crabb Family also hosts one of the largest indoor music festivals in the nation. Their event has grown to two cities and possibly more in the very near future. Much of this success is contributed to the fact that the festival combines all genres of Christian music reaching an audience of all ages and all life experiences. Despite the rapid success and doors that continually open, the Crabb Family remains devoted to the calling and purpose on which their ministry was founded. Siblings Jason, Kelly, Adam, Aaron, and Terah share a common desire to reach the lost. They are not hindered by opinion or manmade limitations, but willing to accept any challenge that comes their way. God has honored their obedience and willingness with open doors beyond expectation. The future of Christian Music as a whole can expect growth and expansion with the Crabb Family on the team.